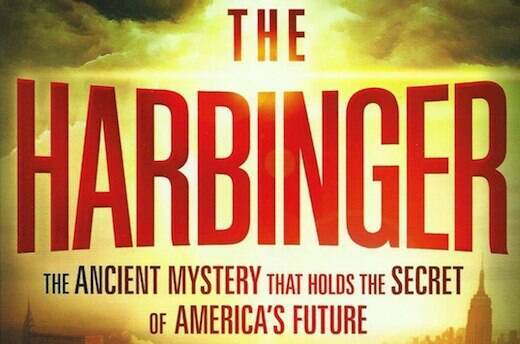 I just read Jonathan Cahn’s New York Times Best Selling book called The Harbinger, in a single sitting. This fact alone means that it must be a compelling read:- and it is. This blog is not a comprehensive book review of the book, rather a couple of thoughts I had about the book, both positive and negative. 1) I was struck with a fair degree of cynicism as I read the first portion of the book as it parallels Israel as God’s favored nation with America as also being God’s favored and blessed nation. I think it’s this kind of American arrogance that has made America on the nose with many countries and people groups around the world. Now I am pro America, but I think the whole idea that America is somehow more favored of God than other nations: I am not so sure. It’s the same issue I have with the idea that Western Democracy and Christianity are inexplicitly linked: Democracy is not a biblical concept. (I will say here though that I am pro democracy). 2) Cahn certainly makes a compelling case for using Isaiah 9:10 as a verse indicating that God is judging America for departing from being a Christian based nation. As I said, it is certainly compelling and there are some very thought provoking points and illustrations of speeches and comments that have been made by American leaders and media. I don’t think however it is sound biblical practice to take a single verse and make a doctrine out of it. 3) I did wonder as I read the book, whether God judges nations in this dispensation of grace that we are currently in. He certainly did in the Old Testament, but that was an era of law. He certainly will be judge again, when Christ take His seat on the Great White Throne of Judgment that the end times book of Revelation speaks of. But does He judge today? If he does, why doesn’t he judge Syria, Rwanda, North Korea and Iraq for the atrocities committed in those countries. Cahn explains this away by saying, to whom much is given much is required – another comment cementing the American nation as God’s favored nation. 4) I did find Cahn’s exposition of the crashes on Wall Street fascinating. He spoke of the principle of Shemitah: the concept of the Sabbath year – a year where debt was cancelled and economic equality was practiced in the nation of Israel. From the day the Stockmarket reopened to a large fall after 9/11 to the day it crashed the day Lehman Bros went under – was 7 years: It fell 777 points on the day of the second crash. There is a lot more to it than that – but as this is not a book summary – you will need to read the book to fully get your head around it. I checked the figures Cahn quoted and they all checked out. It certainly is thought provoking. 5) Lets assume God is judging America – what would repentance look like? What repentance is required? Who is to repent? Is it Congress? Is it the President? It is a return to the 1950’s when a lot of people went to church and morals were higher than they are now? Is it shipping Miley Cyrus to England or somewhere else? I don’t know. Cahn doesn’t specify. I would think if God was speaking to America through the book, then He would make it clear what was required – like He did to the nation of Nineveh through the Prophet Jonah. 6) I found Cahn’s observation that America’s first president was inaugurated on a block of land owned by a church in 1789 interesting. The church is still there today (St Paul’s Chapel) and the block of land on which the first American President took his Oath of Office is Ground Zero. Cahn expounds this out as evidence of the significance of the attack on the World Trade Centre as being at the very point of the nation’s birth. Interesting. Anyway there are a few thoughts. I think The Harbinger is a thought provoking read overall. I certainly think America is in trouble as a nation on a number of levels and I certainly think we should be praying for America, as indeed we should be praying for the nation of Australia. I found the book absorbing. Could not put it down. Maybe it held my attention due to my connection with New York/Manhattan and several churches that I was privileged to minister in just prior to, and just after 9/11. However, The Harbinger has encouraged to become more aware of just what is happening world wide in relationship to our responsibility & obedience to the Word of God, and keeping in mind that the Lord is coming back and we need to be His arrival will be as a thief in the night. The need for Repentance should never be allowed to slide into a valley of forgetfulness. Point 3 re judgement of nations. He is slow to an to anger and often took his time to judge nations. Point 5 re who’s to repent? Gods people. If my people who are called by my name……The movie War Room is interesting in that it’s a call to all Christians to pray. Harbinger is certainly a thought provoking read. Re Israel/ USA connections. don’t know what you think of John Hagge but he has a lot of interesting things to say re that connection.